Find a Affordable Furniture retail store in your local area using our dealer locator. 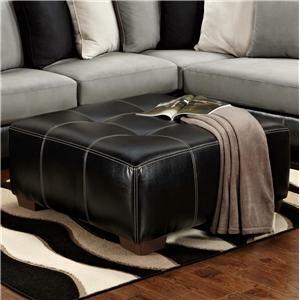 The large size of this ottoman is perfect for creating a bold yet elegant accent in your living room or family room. Take advantage of the contemporary design and embellish your home in a captivating, modern atmosphere. The ottoman features a slightly tufted cushion top that flows into the rest of the piece creating a unified look. Rest your feet on the large top or use it as a place to rest your blankets or reading materials for convenience. Functionality meets a sleek design with this party ottoman, creating a flawless accent for your home. The 6350 Party Upholstered Ottoman by Affordable Furniture is available in the area from FMG - Local Home Furnishing. Elegance meets a contemporary design with the alluring pieces from the 6350 collection. 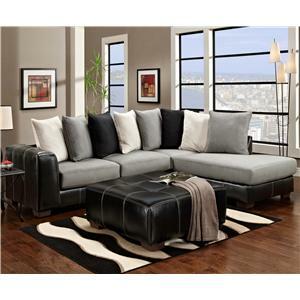 Sleek lines are met with stacked pillow backs, creating a perfect combination of a modern design. Large track arms, tapered block feet, and delicate stitching highlight the style of this collection. Unwinding from a long day at work will be easy with the thick seat cushions and plush seat backs, allowing you so sink back with the contour of the pillows. Create an inviting yet sophisticated atmosphere in your living room or family with the pieces from this collection. The 6350 collection is a great option if you are looking for Contemporary furniture in the area. 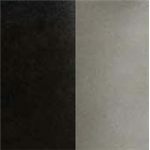 Browse other items in the 6350 collection from FMG - Local Home Furnishing in the area.